The top 2016 model luxury SUVs have exciting features. Many car manufacturers have included new technology in their vehicles and most of them have left buyers impressed. The following is a comprehensive list of the top SUVs for the 2016 model year. The list features high-end models and brands, plus compact and midsized types. The Land Rover Range Rover 2016 model has the option of a V6 turbo-diesel engine. The vehicle is four-wheeled and can easily move from a mud trail to a smooth road. The 2016 Rover has a standard self-lowering suspension that you can use to get in and out of parking spaces with ease. It also has a crawl control for easy maneuvering. This SUV is known for its unbeaten abilities off the track. It is a four-wheel drive, eight-seater and is powered by a 5.7 liter V8 engine that produces up to 381 horsepower and a maximum of 401 torque. The SUV can run along muddy terrains easily due to its ground clearance and suspension that has been geared for long journeys. The 2016 version has an eight-speed automatic transmission and an additional system that is able to detect pedestrians and other vehicles to avoid accidents and collisions. 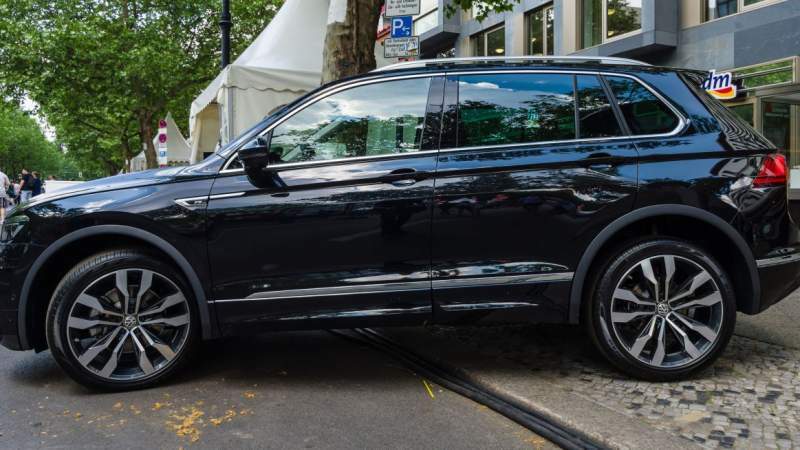 The car has received top safety ratings from those who have purchased it especially due to the warning system that alerts the driver for blind spot and rear cross traffic. One of the best mid-sized luxury SUVs is the 2016 Acura MDX that has a push-button gear selection system. The 2016 model has additional safety improvements when compared to its predecessors. The Acura also has a light and more responsive all-wheel drive system. It is a seven-seater vehicle, built to fit only 18-inch wheels and has been installed with a new automatic gearbox. This results in better acceleration and efficient economy on gas. The 2016 MDX has a quiet interior when at standard speeds on highways and is quite agile on turns. Currently, this is the best-midsized SUV with the best features you can get. The new 2016 Cadillac Escalade has a bold and redesigned style that makes it more attractive. Therefore, if you are looking for a beautiful and powerful vehicle, the 2016 Cadillac is what you should buy. Other than its beauty, what will attract you more is its powerful V8 engine. The 2016 Escalade also has an automatic eight-speed gear system. The Escalade has sleek technological devices and above all, it upholds the safety standards set by previous versions. This SUV has a 6.2 liter V8 engine that is able to produce 420 horsepower and a torque of up to 460. The Volkswagen brand is known for its top safety ratings. However, the 2016 Tiguan has other features that will get you excited. The car has the best mileage — you will get 21 mpg while driving in the city and 26 mpg on the highway. It also has a reliable turbo that will not only improve your driving experience but give you peace of mind that you will get through your day without any issues. Fortunately, the Tiguan is one of the more affordable luxury SUVs, so you won’t be forced to break the bank. Due to the increased horsepower that amounts to 567, the 2016 BMW X5 M has the ability to accelerate from 0 to 60 mph within a span of four seconds. This clipped the previous model’s speed by a second. Some of the additions include the 21-inch wheels, improved suspension and braking system. The 2016 LX has been fitted with a new eight-speed automatic transmission after a revision of the select Lexus driving mode system. The safety and entertainment improvements were minimal for this version. The emergency communications system within the 2016 Lexus safety connect has also been standardized. This SUV has an automatic notification system for collision, location of stolen vehicles, and request for emergency roadside assistance. Most people don’t buy SUVs for their miles per gallon. However, if you want to purchase one of the best mileage SUVs, then the Mercedes-Benz GLA is what you should buy. It’s fast, it’s stylish, and it’s Benz. The GLA class is a distant cousin of the CLA class that was introduced into the American market in the year 2014, but the GLA is gorgeous. If you opt to buy the GLA, there are two choices. There is the GLA250 4Matic that has a horsepower of 208 and a torque of 258. The other choice is the AMG that produces a powerful 355 horsepower and 332 lb. The 2016 Q5 has the craft and tightness that most German vehicles have. The Audi Q5 is loved by many for its sterling audio system and good mileage. Other features that make it a must buy SUV include the strong V-6 3.0-liter engine that generates 240 horsepower. The car also has an eight-speed automatic gear transmission and four wheel drive. The 2016 RX 350 has been redesigned to enhance the comfort and quality of the interior. The result has improved the driving experience especially due to the redesigned cabin that enhances the look of the car. This Lexus model has been transformed to have a sleek look with more legroom and headroom. It also has a standard eight-gear automatic transmission and a V-6, 3.5-liter engine that produces a total of 295 horsepower.